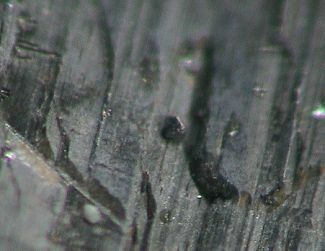 Comments: Small, tetragonal crystal of gray ferrokesterite (circled in thumbnail) attached on the surface of a larger striated andorite specimen. Location: San Jose mine, Oruro, Bolivia. Scale: Crystal size 0.2 mm.